CHICAGO, IL--(Marketwired - April 09, 2015) - SilkRoad, a leading global provider of cloud-based talent management solutions, released the 2015 edition of their annual Top Sources of Hire report. Developed from millions of data points collected through the SilkRoad Recruiting Applicant Tracking System (ATS), SilkRoad's Top Sources of Hire 2015 offers the definitive view of talent acquisition strategy effectiveness. "SilkRoad's Top Sources of Hire provides an unbiased look at the channels feeding the talent pipeline," said John Shackleton, President and CEO of SilkRoad. "By knowing which candidate sources produce the most interviews and hires, organizations are better able to allocate resources to the areas that yield the best results." 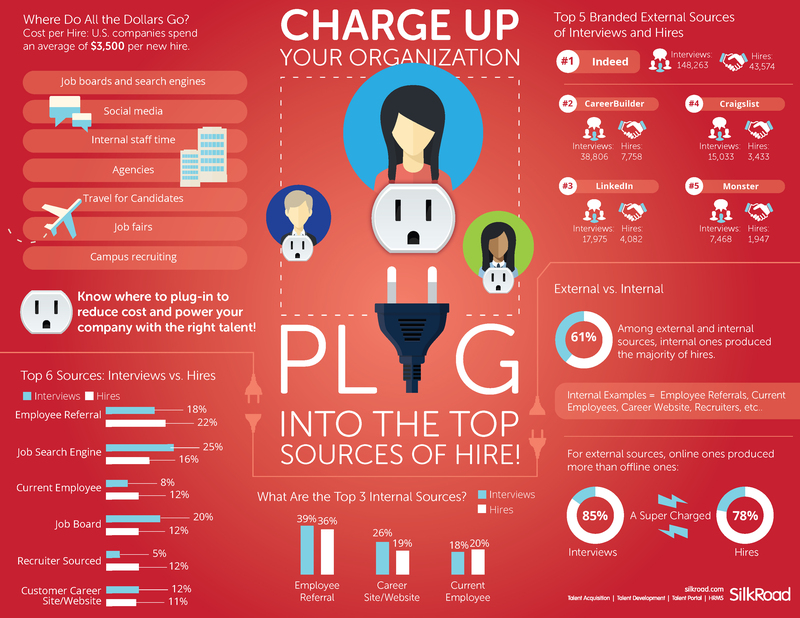 Download SilkRoad's Top Sources of Hire. Access 7 "Best of" Recruiting resources. SilkRoad is a leading global provider of cloud-based, end-to-end talent management solutions that enable customers to find, attract, develop, and retain the best talent. The award-winning SilkRoad Life Suite includes Talent Acquisition, Talent Development, and HRMS solutions that are delivered through a tablet-friendly Talent Portal. The suite is easy to deploy and use - a single platform to rapidly boost employee engagement and business performance. Visit www.silkroad.com, follow on Twitter @SilkRoadTweets or call 866-329-3363 (U.S. toll free) or +1-312-574-3700. 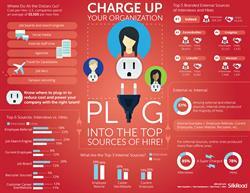 Charge Up Your Organization, Plug Into The Top Sources of Hire!